India Gate to Delhi is what Arc De Triomphe is to Paris. 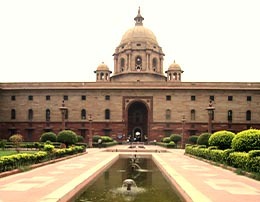 India Gate is one of the attractive places of Delhi, which attracts not only people visiting the city for the first time but also those who live in the city. The environment created in and around the gate, and the beautiful view of the Raisina is what attracts people to the eight city’s architecture. India gate, similar to its French counterpart , commemorates the soldiers who lost their lives fighting for the British Army during World War I.